Happy Friday! 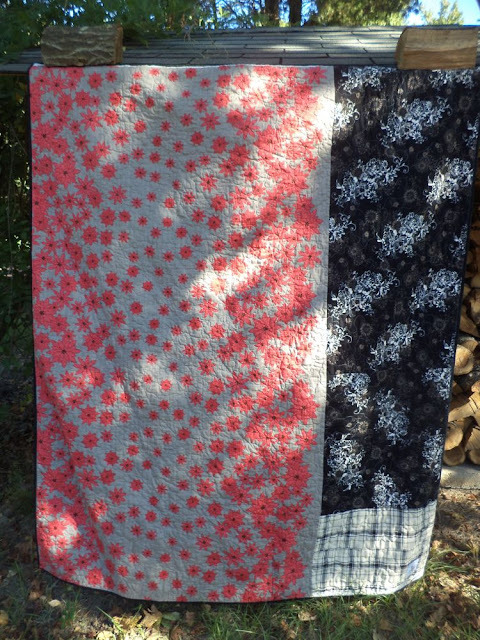 I have another quilt to show for CiL. 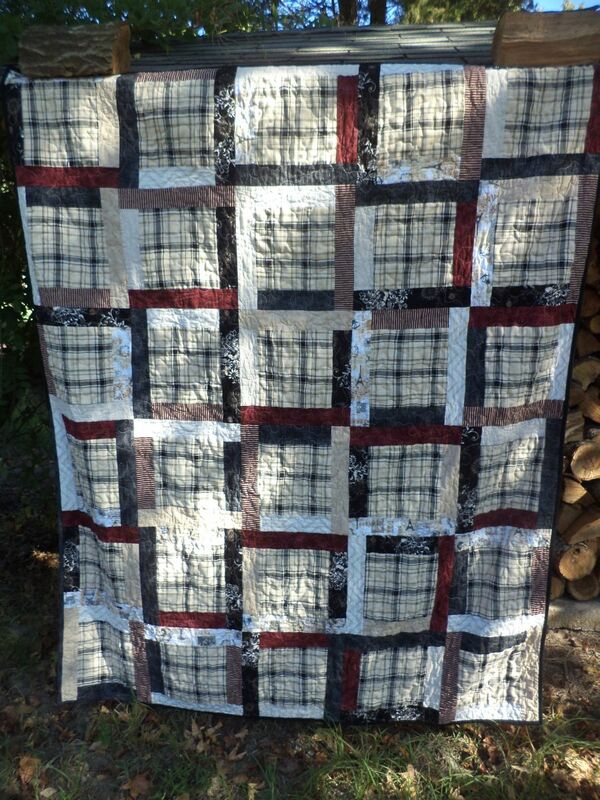 I made this "manly" quilt the other day on a whim. While I love this color scheme I do still want to make a scrappy version soon. The plaid squares are made of some sort of weird polyester type material, but they have a nice soft flannel feel to them. We are generally short on manly quilts so I try to focus on those color schemes. 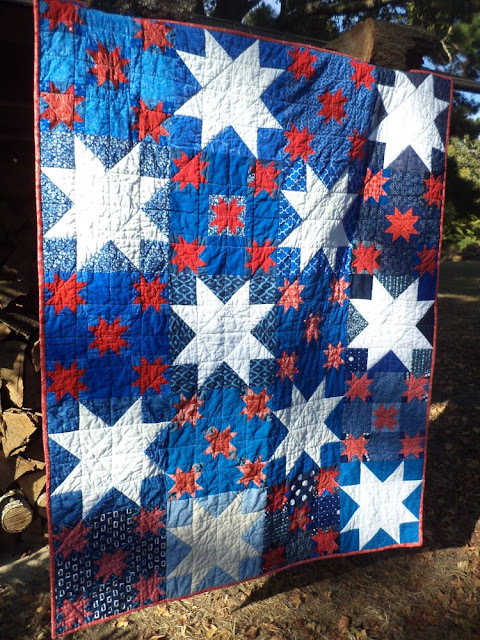 The quilt is 60"x72". I think I like the backing almost as well as the front. 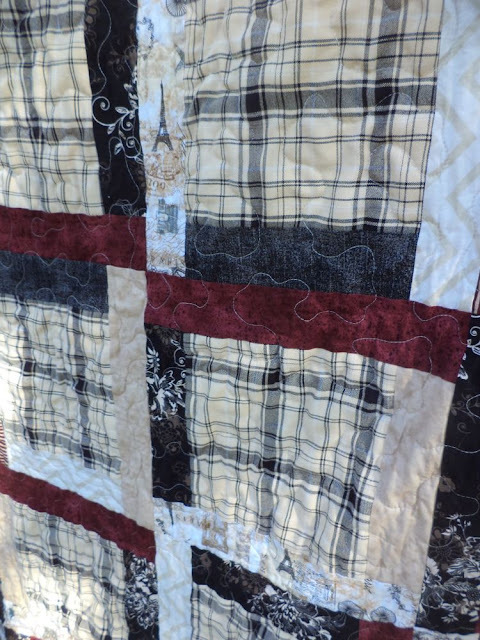 I pieced it from a few favorite fabrics. I love that brown one with the flowers. If you would like to contribute to Covered in Love please check out the main page. Also, each month we have a block drive, so if you want to contribute through that check it out here, this month we're making string blocks. July's NURTURE circle do. 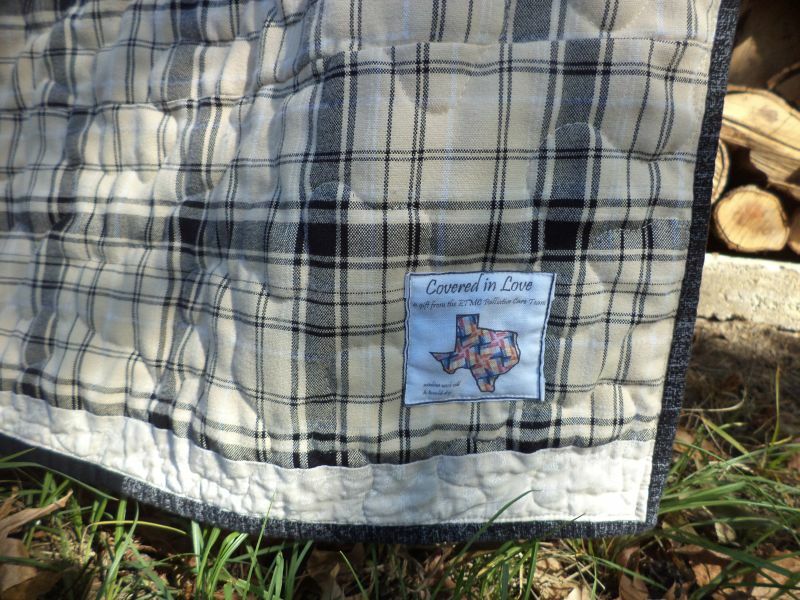 Good Stitches quilt for Covered in Love. Quilted by Dhia. Thanks, ladies! I love this quilt and it would make a great scrap version! 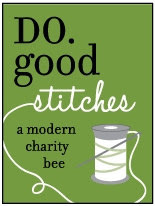 Such a lovely quilt for an even lovelier cause. Great finish! Great man quilt. I love the back. Love the starts too. Thanks for sharing.